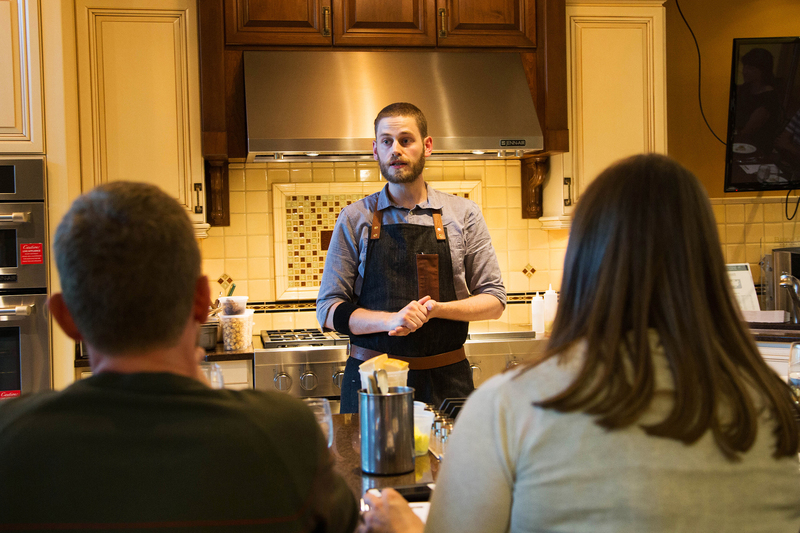 The 2014 food scene was dubbed by the Oregonian as the “year of the pop up”, and this episode of Portland Food Adventures brought us to a few of the handsome young chefs that started this ever expanding trend. 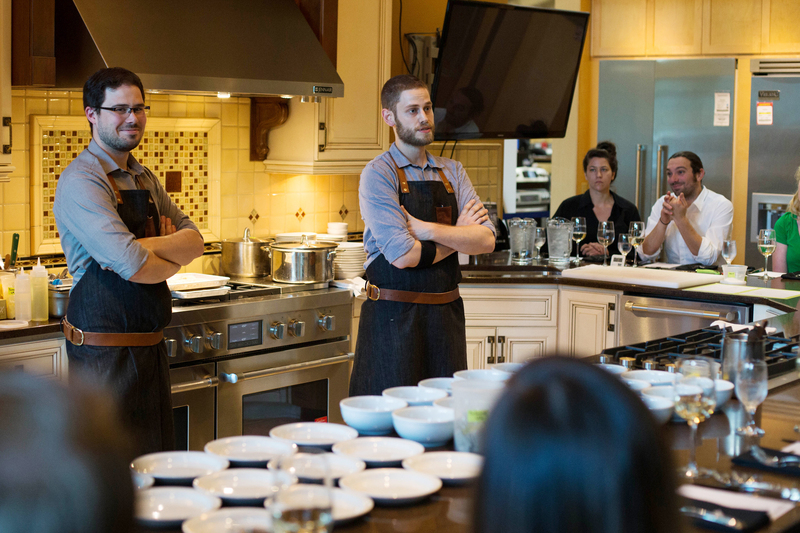 Led by Will Preisch and Joel Stocks, this week Holdfast Dining delivered an expertly crafted seven-course meal in the Jenn Air Kitchen at Standard. 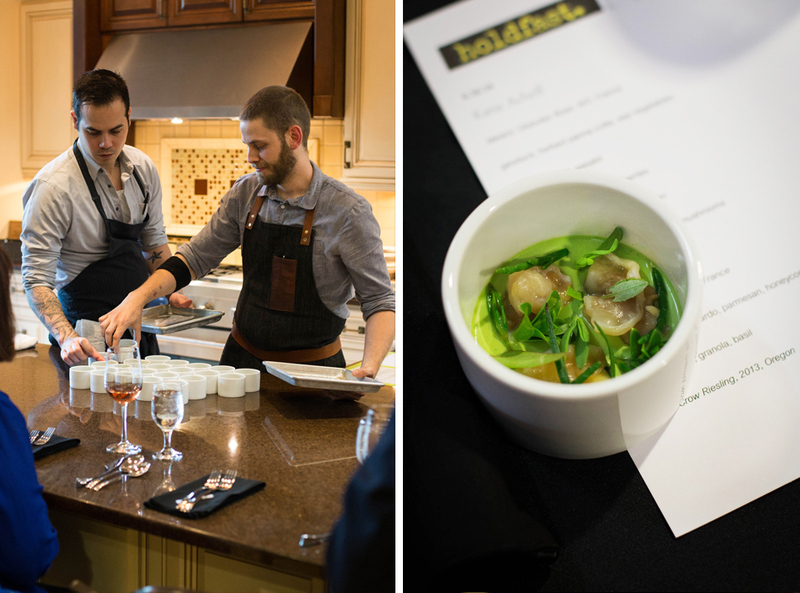 Holdfast Dining has quickly become an extremely popular and desirable event to attend, with tickets often selling out in minutes. Tonight we had the great fortune to experience the menu that has the Portland food scene buzzing, starting with geoduck, herbed panna cotta and sea vegetables. 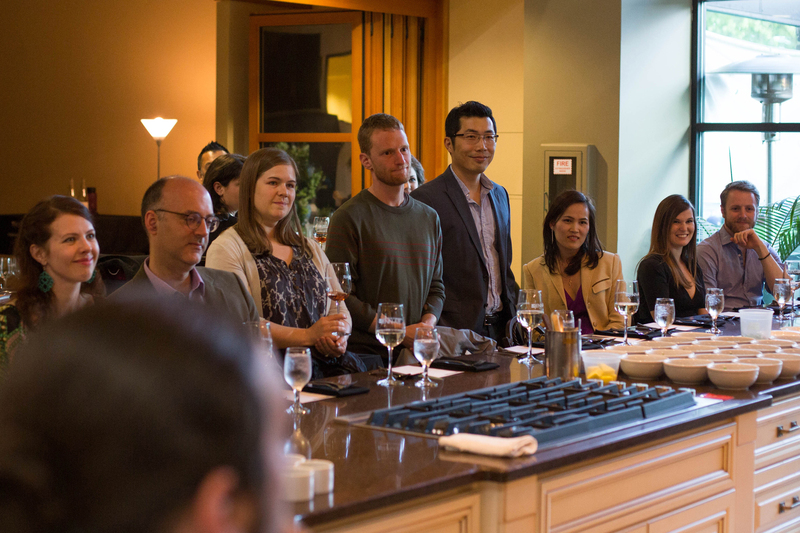 The Jenn Air Kitchen at Standard TV & Appliance offered a great opportunity to see the chefs at work in an interactive dining experience. 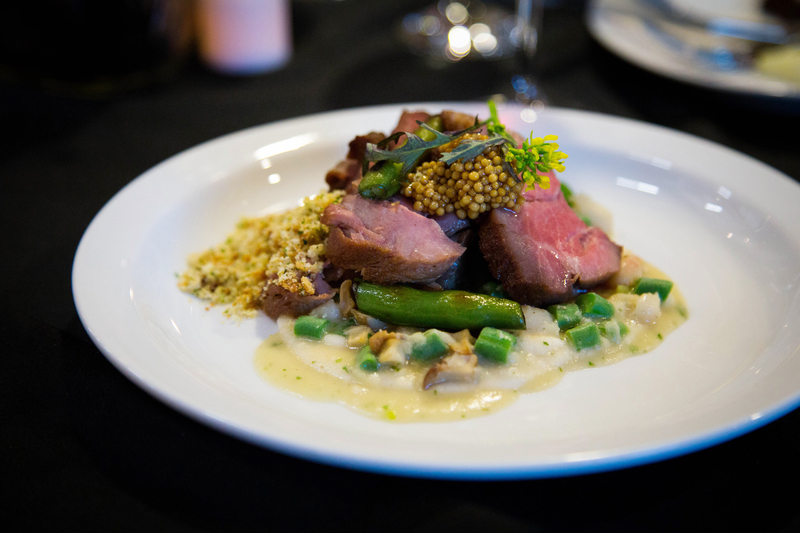 Holdfast traditionally holds its dining events at KitchenCru, an industrial commercial kitchen in Northwest Portland, and we were told this is only the second dining event they have done outside of that space. Next up was a sea scallop dish with peas and wasabi. 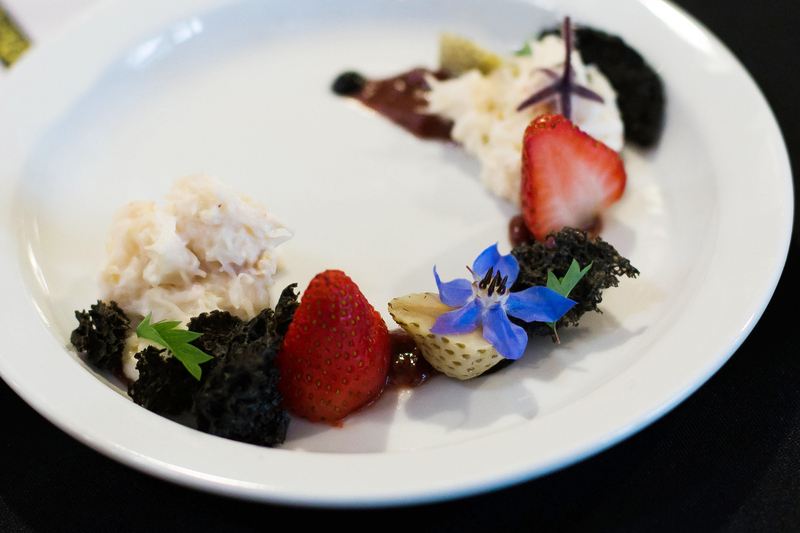 Course three was a very delicate and beautifully plated crab dish with black garlic and strawberries. 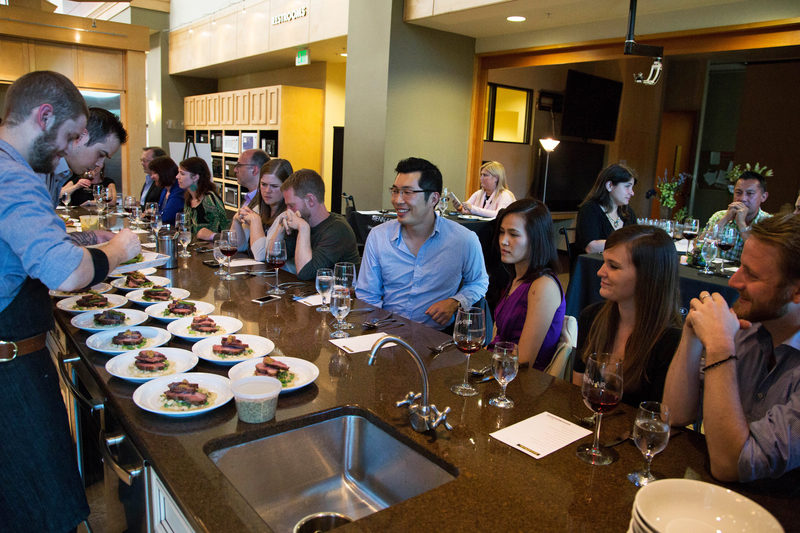 All of their courses stand out with unique flavor profiles and brilliant presentation. 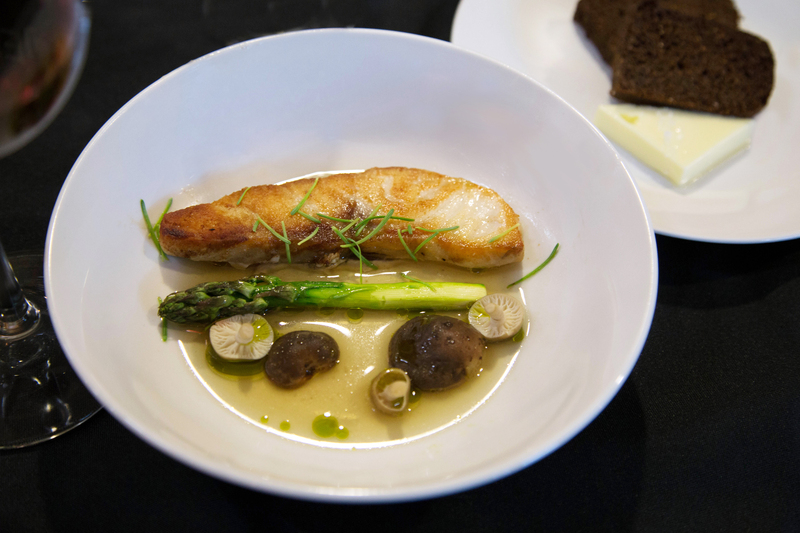 Next up was a smoked sturgeon with cedar, pine and mushrooms, served with a brown bread and 2013 Ameztoi Txakolina. This was arguably my favorite dish of the night, with the sturgeon lightly crisped to perfection. 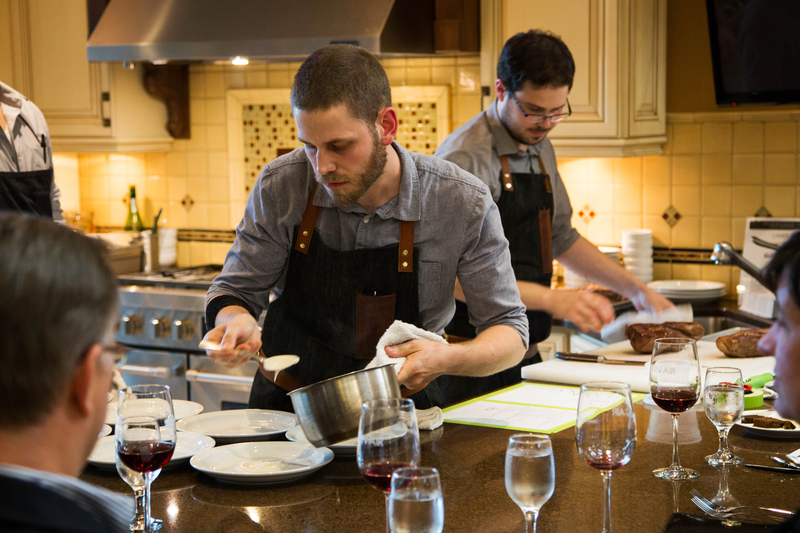 These guys worked with incredible speed and finesse, as these seven courses came out in just about two and a half hours. Here they are preparing our last main course, pork with beans, mustard seeds and porcini. Above was one of our dessert courses, cherries with buttermilk and granola. Will and Joel also gathered together a few gift certificates for the evening to keep the adventure going, explaining that they chose restaurants that they personally go to on their lunch breaks around town. Tonight these included Meat Cheese Bread, Chop Butchery, and Nong’s Khao Man Gai. 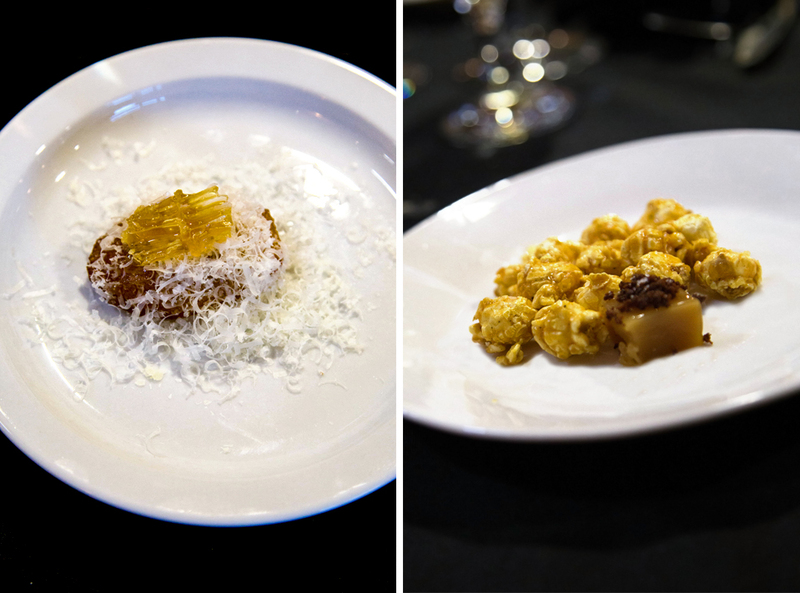 Below were our last two dishes, to the left a cornbread madeleine with parmesan and honeycomb, the only dish that has stayed consistently in every Holdfast event, and a small plate of orange caramel corn to see us off with. This crew put on a fantastic night and I am thrilled to have experienced the pinnacle of the Portland pop up restaurant scene. Stay tuned for some future Portland Food Adventures!